Does your Mac have Apple T2 security chip? Here's how to find out! Does your Mac have Apple T2 security chip? Here’s how to find out! 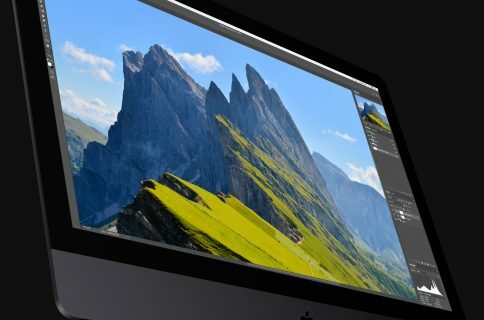 Certain Mac models take advantage of a second-generation Apple security chip, called T2. Without it, you won’t enjoy advanced secure boot capabilities, hardware-accelerated flash storage encryption or other perks. Some Mac computers have the Apple T2 security chip while others do not. 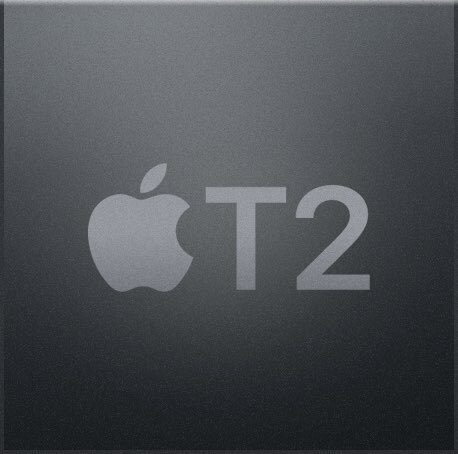 In this brief step-by-step tutorial, iDownloadBlog will show you how to identify Mac models with the Apple T2 chip. As mentioned, T2 is Apple’s custom, in-house designed silicon which ushers in a new era of security by integrating several discreet controllers found in older Mac models. Only four Mac notebooks and desktops currently use this chip. Follow along to learn how to manually verify whether your Mac has the Apple T2 silicon. 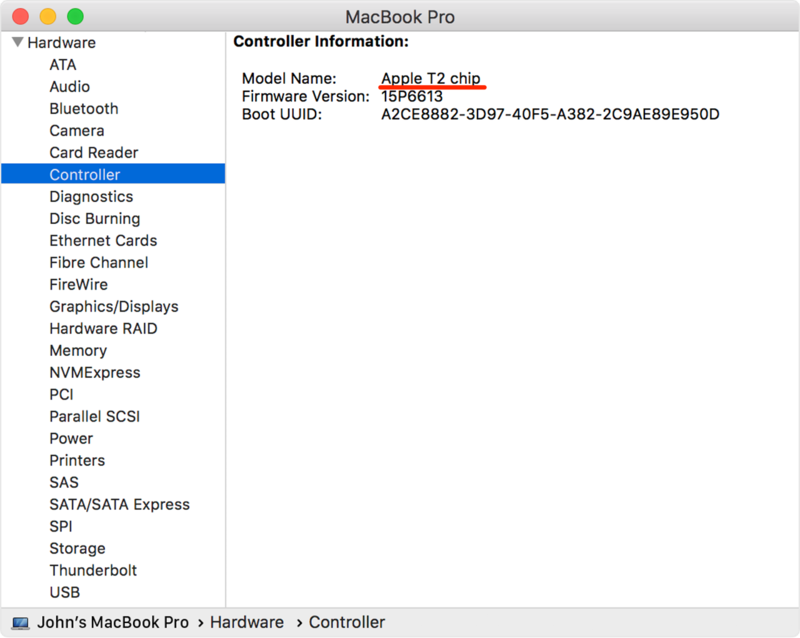 Use System Information to learn whether your Mac has the Apple T2 chip. 1) In the Finder, click the Apple menu and choose About This Mac. 2) Click the General tab, then click the button labeled System Report. 3) In the sidebar of the System Information window, select either Controller or iBridge depending on the version of macOS in use. If the righthand side column reads “Apple T2 chip,” your Mac computer came with the Apple T2 security chip. If you don’t see this message, you have an older Mac model without this chip. If your Mac lacks this chip, you can still do everything like before but you won’t be as secure. For instance, FileVault will use software-based disk encryption which not only taxes the CPU but is far less secure. Your web camera will work like before, but it won’t be secured, meaning a rogue app might secretly record everything with the lid open. And when exporting your 4K shot-on-iPhone videos encoded with the H.265 codec into Final Cut Pro or other pro apps, the transcoding process will happen 40 times faster than before. 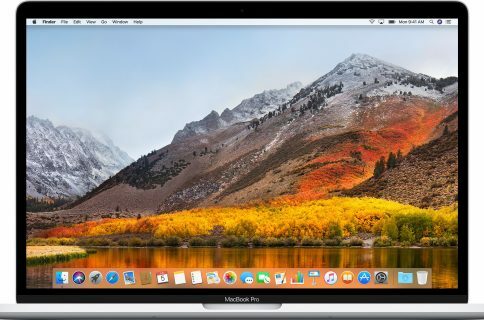 The Apple T2 security chip makes your computer far more secure by integrating a Secure Enclave coprocessor which provides the foundation for new encrypted Apple File System (APFS) storage and secure boot capabilities. Plus, the chip’s image signal processor works with the FaceTime HD camera to enable advanced imaging features. Read on for the detail breakdown. Because it integrates an always-on processor, T2 does “Hey Siri” without engaging the main Intel chip: you can make requests to Siri with just your voice for things like finding files or opening an app without having to summon her manually. Mac models with the Apple T2 chip treat the internal speakers and the headphone jack port as unique devices, separate from one another. This lets you do things like send your Mac’s sound effects to the built-in speakers while using your wired headphones for music and other audio so you don’t get jarred out of a good listening session by an error message beep blaring over your music. And thanks to T2’s hardware disconnect, the Mac microphone is physically disabled as soon the lid is closed, which is über cool. The Apple T2 chip features a specialized video transcoder for the High Efficiency Video Coding codec, also known as H.265, bringing 30 times faster decoding so you can work more quickly with higher resolution video throughout pro workflows. Like with iPhone, the image signal processor works with the FaceTime camera to analyze and improve the image. Imaging capabilities include enhanced tone mapping, improved exposure control and face detection–based auto-exposure and automatic white balance. This cryptographic coprocessor powers line-speed encrypted storage with File Vault and provides the groundwork for secure boot, which ensures the lowest levels of software aren’t tampered with and only a legitimate operating system trusted by Apple loads at startup. It also protects your Apple Pay information and Touch ID biometric data from the prying eyes. Data on the built-in SSD is encrypted using T2’s hardware-accelerated AES engine with 256-bit keys tied to a unique identifier within the chip itself. With on-the-fly data encryption, everything stored on the SSD is automatically and fully encrypted without performance penalty. This controller is responsible for low-level functions on Intel-based Macs like responding to presses of the power button and to the display lid opening and closing. 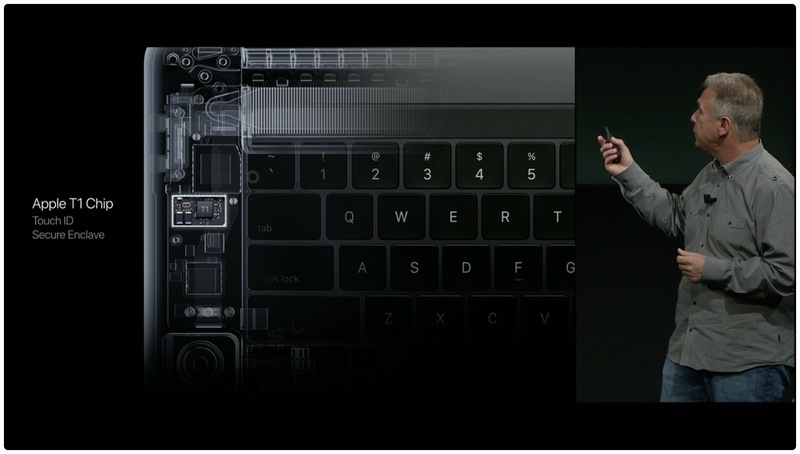 It also does battery management, thermal management and keyboard backlighting. 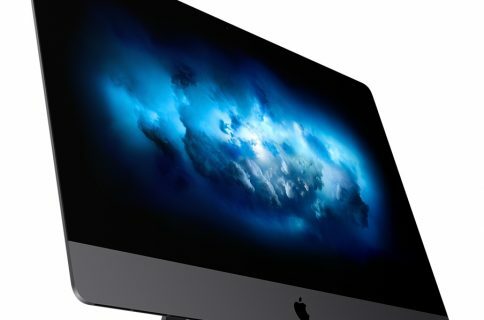 As a bonus, it manages sudden motion and ambient light sensors, status indicator light, battery status indicator lights and even selects an external (instead of internal) video source for some iMac displays. 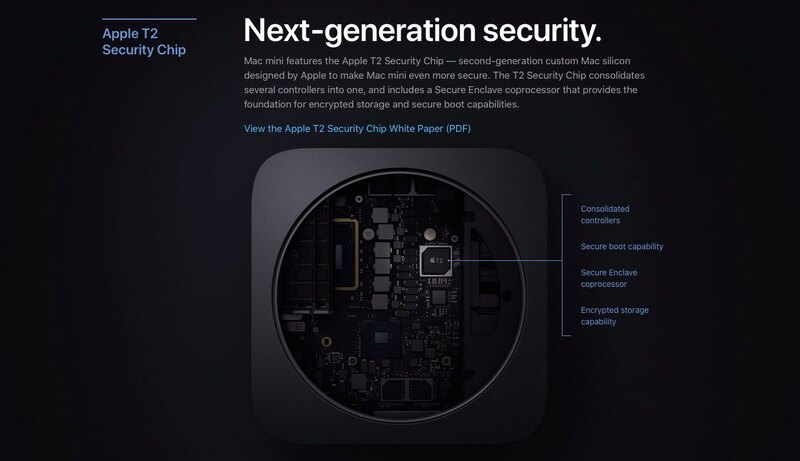 For the full analysis of the Apple T2 security chip and its components, how it was designed and what it does, be sure to read Apple’s T2 Security Overview document. We’d appreciate if you passed this how-to along to your friends.